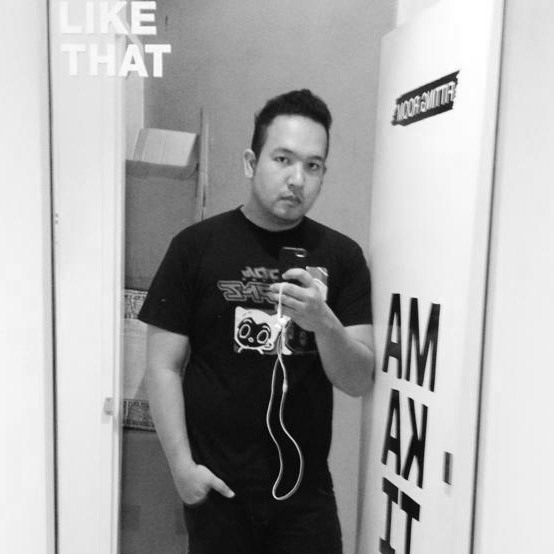 What was just an ordinary battle encounter (of course there's a lot right now as the Hathors/Bathalumans are still at it) seemed to have sparked something else and have shocked quite a few Encantadiks (Encantadia fanatics) these past few evenings. Did you see that particular scene where they suddenly looked at each other? I don't think that's just an ordinary scene. 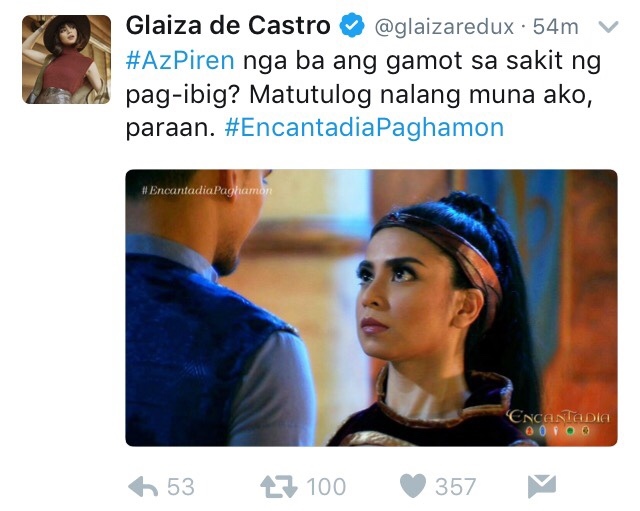 Azulan (played by JayR) on previous Encantadia books is a human who traveled between planes to earn a living and once was actually in love with Sanggre Amihan. 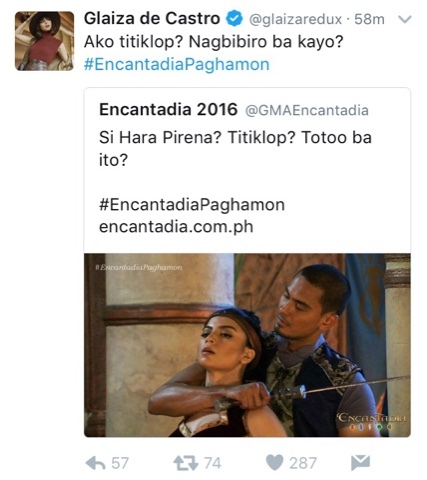 This time however, he's played by professional male supermodel Marx Topacio and people were surprised about the battle in Sapiro as even if there were knives and swords around, he kinda grasped Glaiza De Castro aka Pirena possibly swooning the tough Sanggre. The question is, is this romance? Is she finally meeting her match? I currently am waiting for Glaiza's reaction and will wait for her response on my DM Tweets. But it looks like this #AzPiren pairing is going places, and Pirena isn't backing out. She's a real toughie still. I'll update this post later when I get a message from her, which I suppose is a welcome thing to her fans right?